I'm getting quite fed up with the old or lack of manuals about the setup of ftrack and the connect plugins. I've got as far as adding some of the Environement variables and finding the ftrack connect plugin folder. No, our Nuke is installed on a network share and therefore connect doesn't find it automatically. 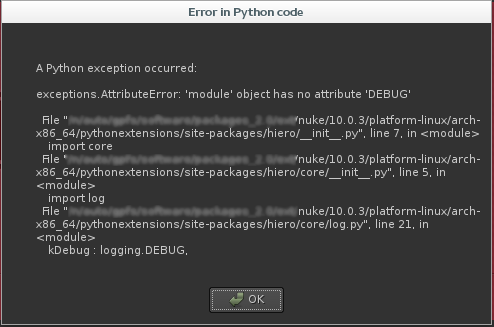 It seems that the problem is that the nuke plugin does not have all it's dependencies available on the PYTHONPATH. There are quite a lot of dependencies so it can be a bit tricky to get it right. And I agree with you, this should be easier and covered much better in the documentation. 1. Using connect package: You add a custom launcher as a Connect plugin that can scan and find Nuke on your network share. 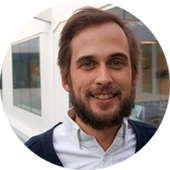 This has the advantage that you can reference the existing launch hook and utilise the way it makes the dependencies available. 2. Standalone: You make the necessary dependencies available: https://bitbucket.org/ftrack/ftrack-connect-nuke/src/9cec5a77107b3bd6f90274deaa80b3c61bf409bf/setup.py?fileviewer=file-view-default#setup.py-118 . Note that e.g. ftrack-connect has dependencies as well so there are quite a lot. You could of course also tweak the hook. Or copy the Connect package hooks to a separate folder where you can modify it and set them on the FTRACK_EVENT_PLUGIN_PATH. So I installed Nuke Locally, it's now in the launcher. But now it's erroring when interpreting the menu.py. So for clarity: Where does the PYTHONPATH variable need to point to exactly? Wouldn't it be much better to be able to specify commands available in the launcher via the Ftrack interface Back-end? If above is correct you should not have to set the PYTHONPATH or anything. Is that the steps you took and you get this issue? If so I will ask one of the devs to jump in and see if we can debug this. It absolutely would, I will make sure we have a feature request ticket to cover this! How should I alter NUKE_PATH, PYTHONPATH and any other env vars to load the plugin corrrectly ? Nuke 10.0v3, 64 bit, built Jun 27 2016. Copyright (c) 2016 The Foundry Visionmongers Ltd.  All Rights Reserved. Here is a shell script that I sometime use for developing the ftrack-connect-nuke plugin. In this setup I'm running nuke from source, but loads the dependencies from the common.zip that is found the Connect package. If you do not want to do that, you can unpack common.zip to see the dependencies that it contains. # Set path to the ftrack-connect-nuke repository. # Set nuke plugin path. # Set environments variables for foundry asset plugin. # Set PYTHONPATH to ftrack-connect-nuke and shared libraries. # Set task and shot id. export FTRACK_SHOTID="id of the parent to the task"
I'm running on OS X so the path to the common.zip for me is "/Applications/ftrack-connect.app/Contents/MacOS/common.zip" but must be changed according to your OS. the packages from bitbucket donnot come with common.zip archive though so I did not have to update the PYTHONPATH.